Volunteer within your local community or with FCCNY. Our first eight sessions of the GuanYin Project were a great success with over 420 participants earning awards. We’re enthusiastically moving onto GYP session IX, 2017-2018. 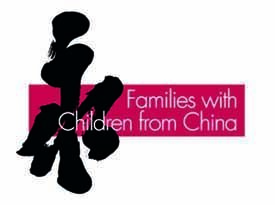 If your family is volunteering NOW in FCC, Scouts, in Church or Synagogue, or on a mandated project from school, or simply a cherished expression of personal values, by participating in the GUANYIN PROJECT, these service contributions can be documented and gathered together for inclusion toward awards. This sort of volunteer recognition can be important for school, college and job applications. Family volunteering is a concrete way to share ideas about compassion and giving with your family. FCCNY is registered as a certified organization for achieving The President’s Volunteer Service Award. We are continuing the FCCNY GUANYIN PROJECT, dedicated to fostering organized community service toward the goal of having each participant achieve the prestigious President’s Volunteer Service Award and FCCNY GuanYin Service Awards. Our project year starts with your volunteer hours since October 1, 2017 - September 30, 2018. GuanYin is one of the most celebrated figures in Chinese mythology. Her name in Chinese roughly translates as "The One who Hears the Cries of the World". GuanYin is known as the Goddess of Mercy, Compassion and Fertility and the Protector of Children. FCCNY will award GuanYin Project awards to those members who serve at least 20 hours, but do not reach the minimum hours for the President’s Volunteer Service Awards. The President’s Volunteer Service Award is issued by the President’s Council on Service and Civic Participation on behalf of the President of the United States to recognize the best in American spirit, and to encourage all Americans to improve their communities through volunteer service and civic participation. The Award is given to individuals, families, and groups that have demonstrated outstanding volunteer service and civic participation. Any individual, family, or group can receive Presidential recognition for their annual commitment to volunteer service.